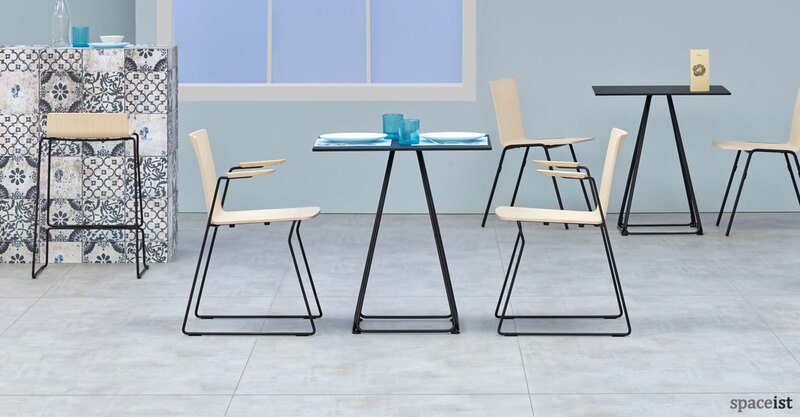 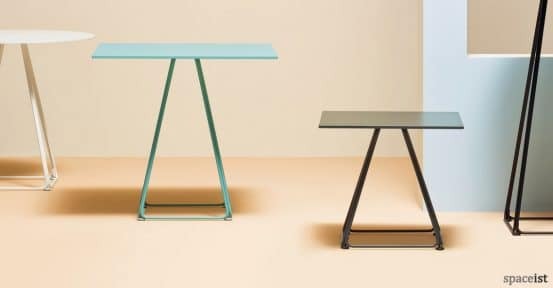 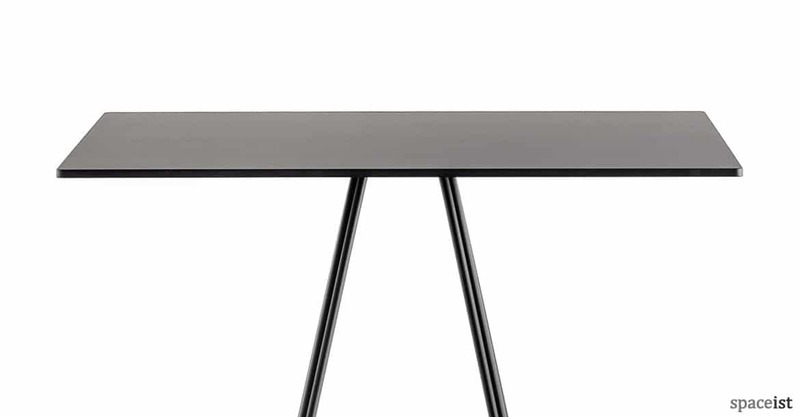 With a distinctive pyramid style base, the Luna table offers a modern option for sophisticated interior application, enhancing the architecture of the space with its slimline appearance and multitude of options. 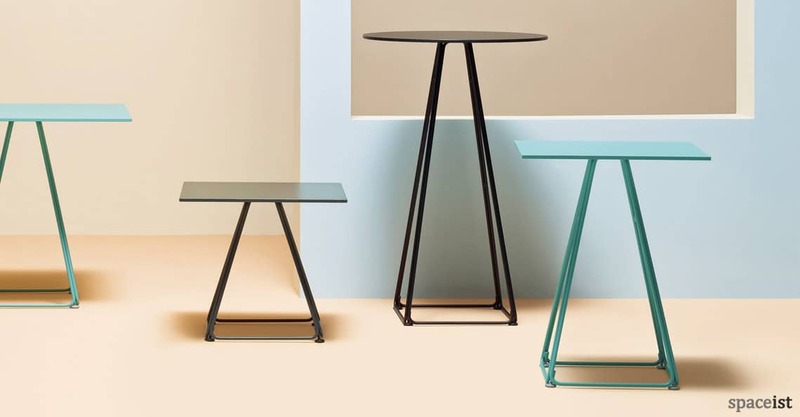 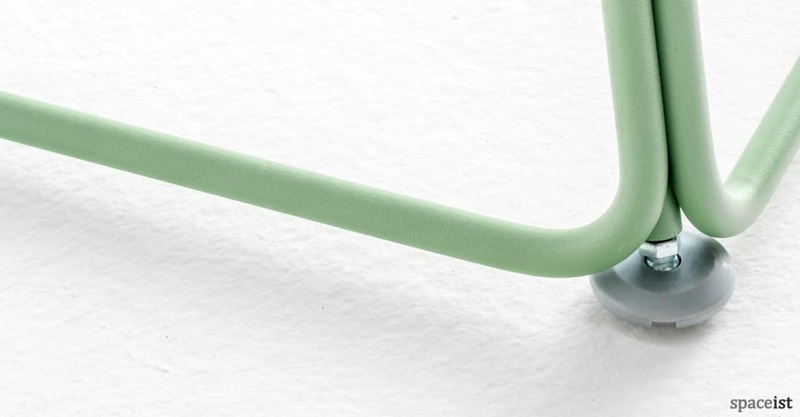 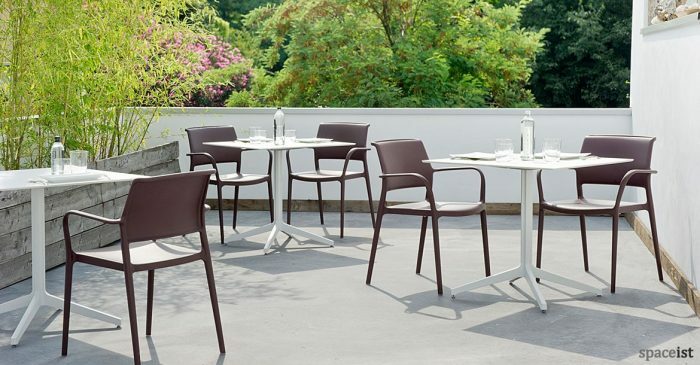 The base is constricted from powder coated steel that comes in four modern shades and three heights. 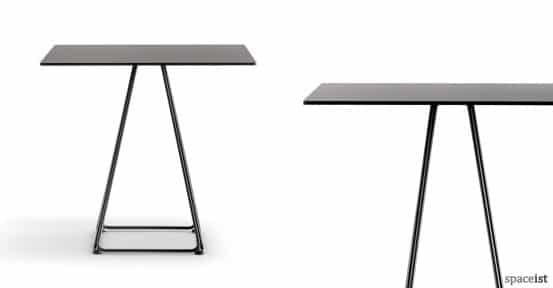 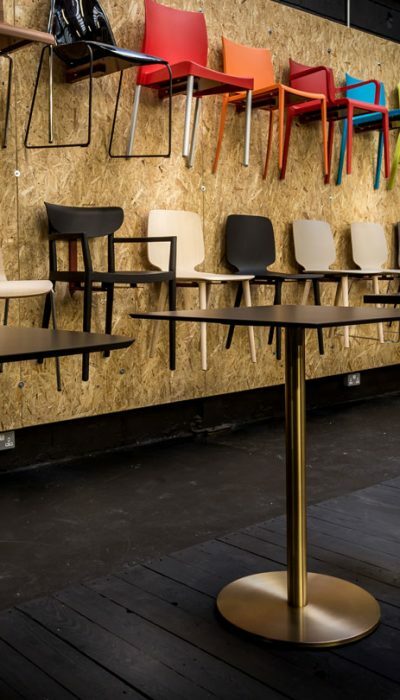 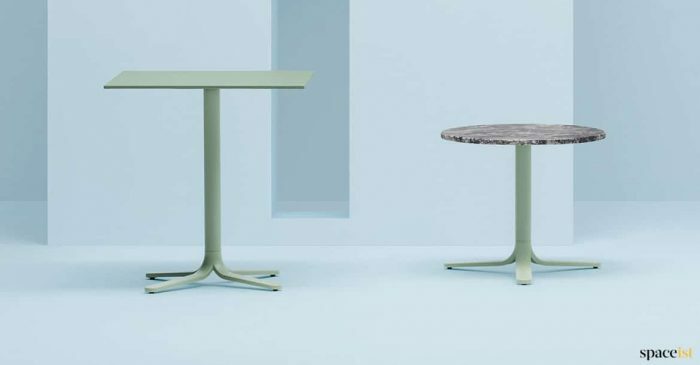 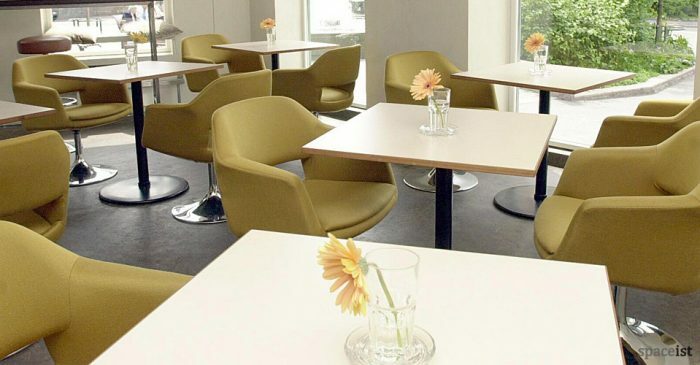 Further customisation is made possible with four table top sizes; circular or square and the choice of solid engineered laminate, wood veneer and also a sleek marble top option. 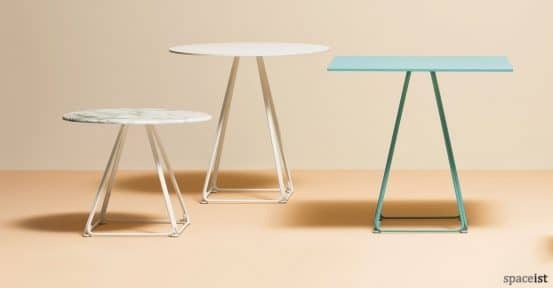 The base includes adjustable feet for balance and is ideal for a variety of modern and stylish interior applications. 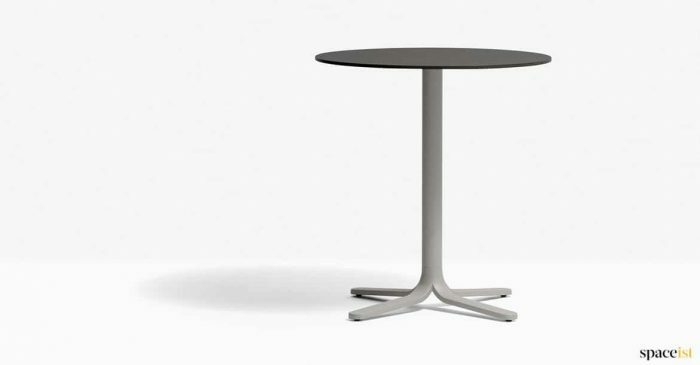 New modern outdoor cafe table with a three of four star base. 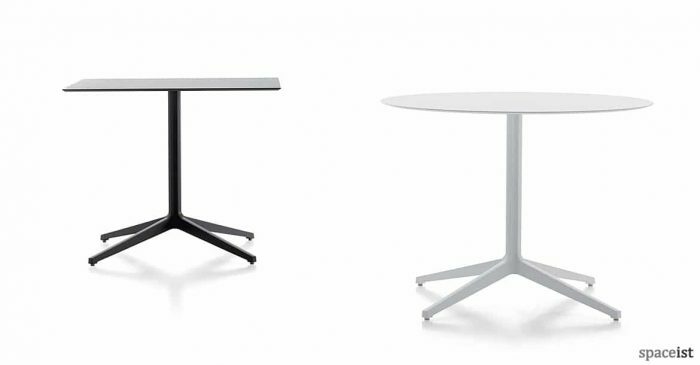 Choose from a large range of colours including polished stainless steel. 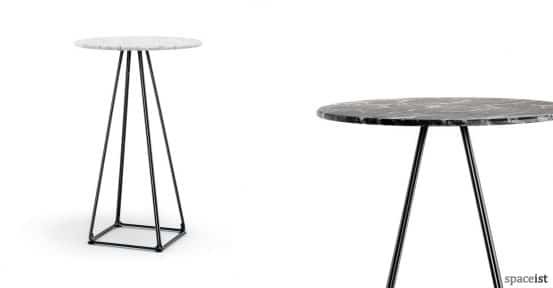 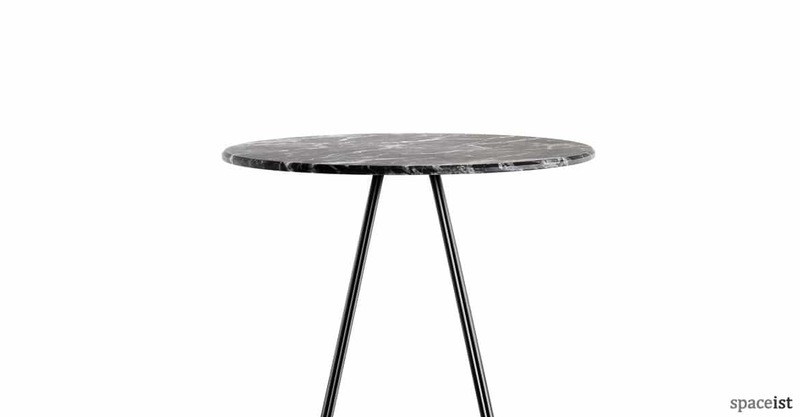 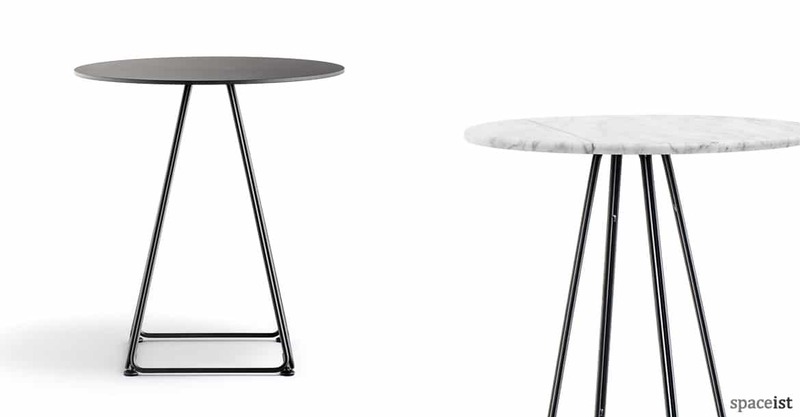 Large cafe table with a silver, black, white or polished base. 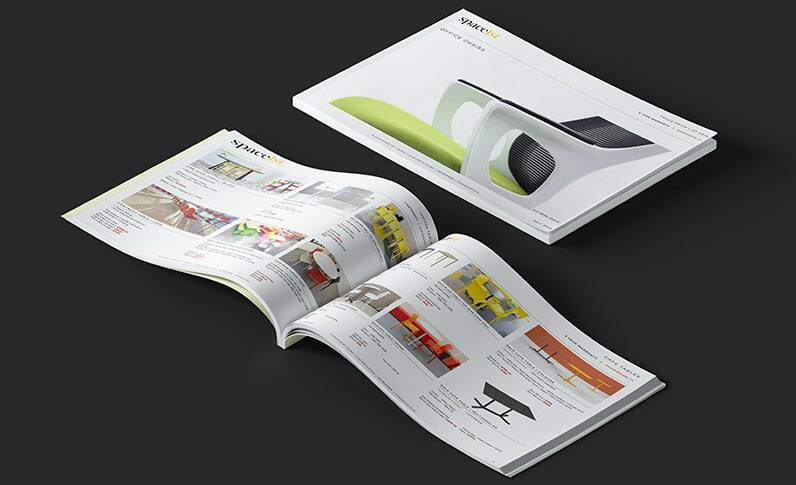 Top colours include white, black & stainless.